After 2 months since the first installment (wow big word), I finally had the time to continue my Kyoto day trip. As you can remember, Kyoto has the reputation as the most beautiful Japanese city and I wholeheartedly agree with that. (What am I to say to that?? char!) 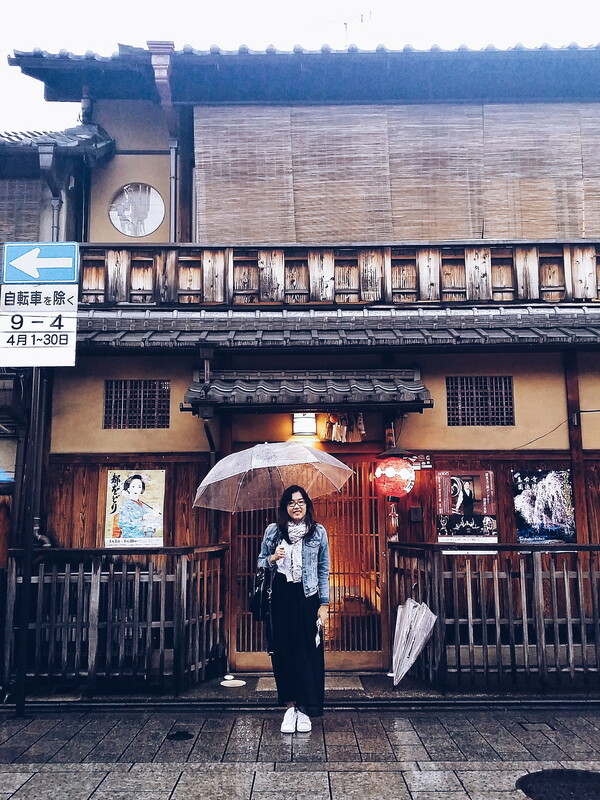 Read Japan: A Day in Kyoto Pt. 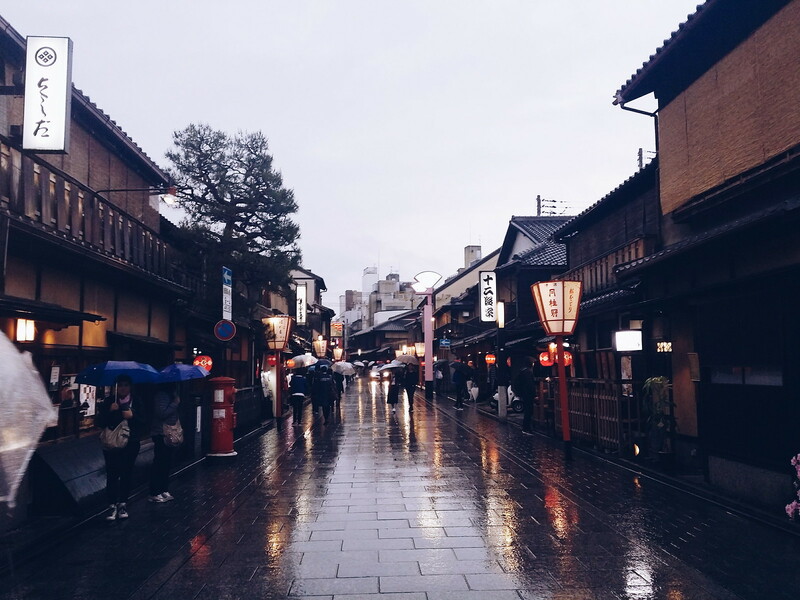 1 to know how to go to Kyoto and the two big tourist spot we visited in the morning. Yes, this is a train station! 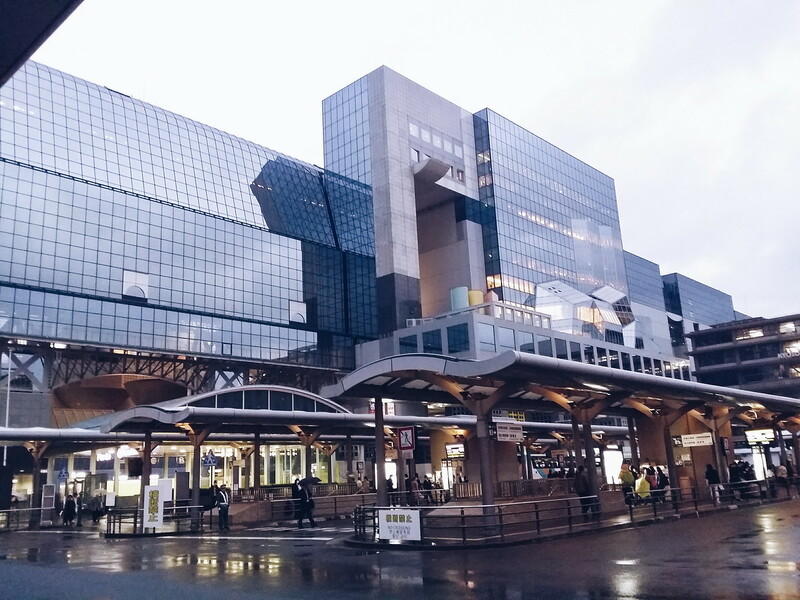 Kyoto Station is the main train station of the city. And if you’re coming from Osaka or Tokyo, you’ll definitely end up here. But no worries since this place is more than just a place to catch trains. Its architecture is so beautiful that it’s impossible not to bring your camera out. There are numerous restaurants and cafes inside that is really good if you love people watching (ehem me). It is also beside Isetan (high-end mall to sa Japan, guys!) if you felt like spending your money. BUT if you’re like me who love free things, Kyoto station has this Sky Garden on the 15th floor where you can see Kyoto city and tower for free! I didn’t get the chance to go up since it’s raining hard (#sadlife). Send me photos if you’ve been there! The Grand Staircase that run from 4th floor to the 15th floor. Then you’ll find the Skywalk that will lead you to the Sky Garden and Happy Terrace. 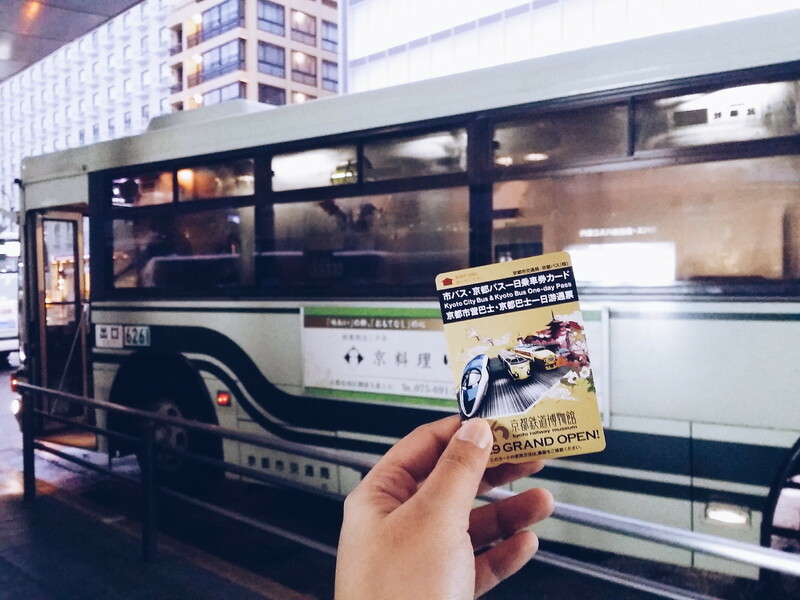 Purchase the Kyoto 1 Day Pass for 500 yen which entitles you unlimited bus ride for 1 day. If you’ll not buy one, every bus ride is 230 Yen. Not sulit so buuuuy!! 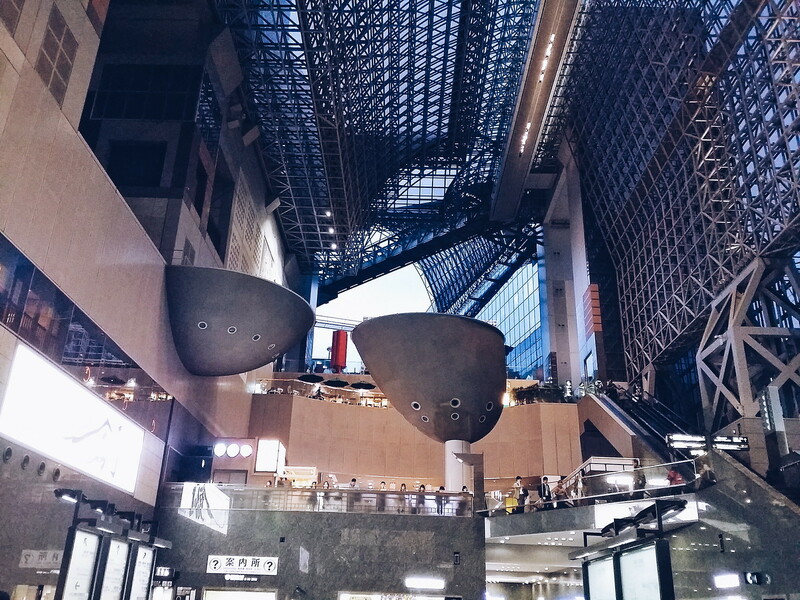 Of all the train stations I’ve been in Asia, Kyoto Station is my favorite. One factor, of course, is the modern architecture and aesthetics. But it’s ambiance is also something I liked. I’ve always seen people and life rushed in train stations but this station has the chill/relax vibe into it (and I love it). 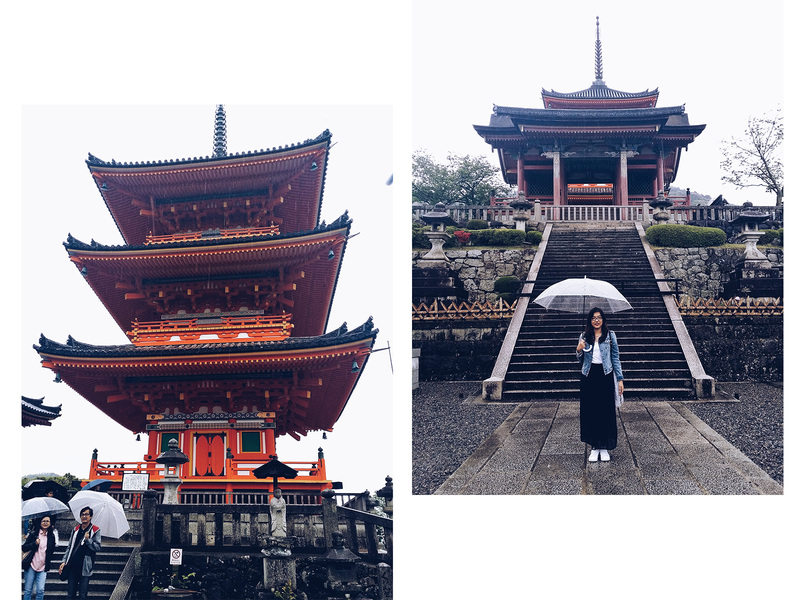 We were supposed to see three temples- Kiyomizudera, Kinkakuji, and Ginkakuji- but due to several reasons, like the rain and limited time, we have to let go of the two. We decided to see Kiyomizudera because of its uniqueness and being a UNESCO World Heritage Site. No single regret, though. 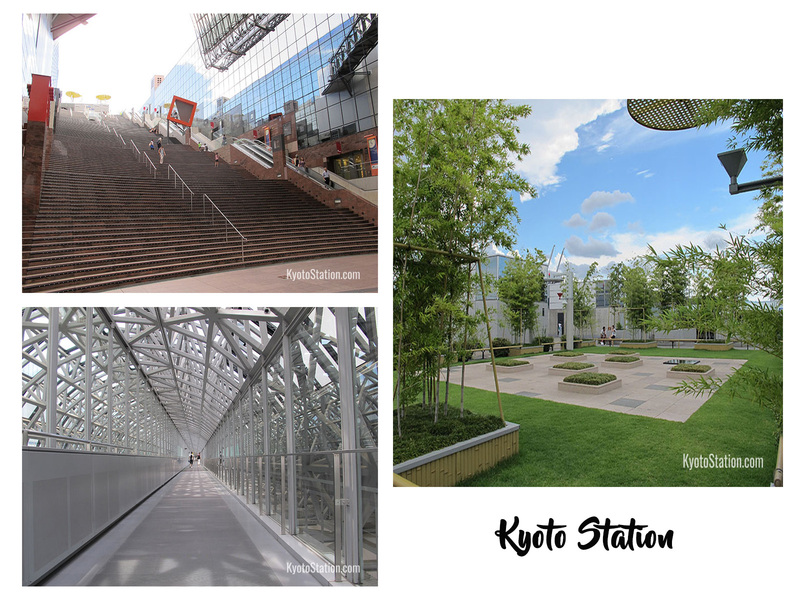 From Kyoto Station, buy a 1 Day bus pass (500 Yen = 215 pesos) in the tourist center outside. Ride bus number 100 or 206 (One way is 230 Yen). Then get off at Gojo-zaka bus stop, from where it is a ten-minute uphill walk to the temple. From the bus stop (the red mark), you can choose two paths to the temple – the crowded or the quiet one. We chose the quiet and shorter path. Instead of walking all the way to end of Gojo-zaka street, we turned to Shimizu New Way. But most of the tourist walk until the end of Gojo-zaka then through Higashiyama District which is flocked with tourists. I don’t know if they’re Japanese but they look so cute in their kimonos. I wished I did it too! Next time though. Did you know that every temple has a pagoda (like this red one) that protects the temple from getting hit by a lightning? It started raining when we got in the temple but we still tried our very best to roam around. Entrance fee is 400 yen (around 170 pesos each). 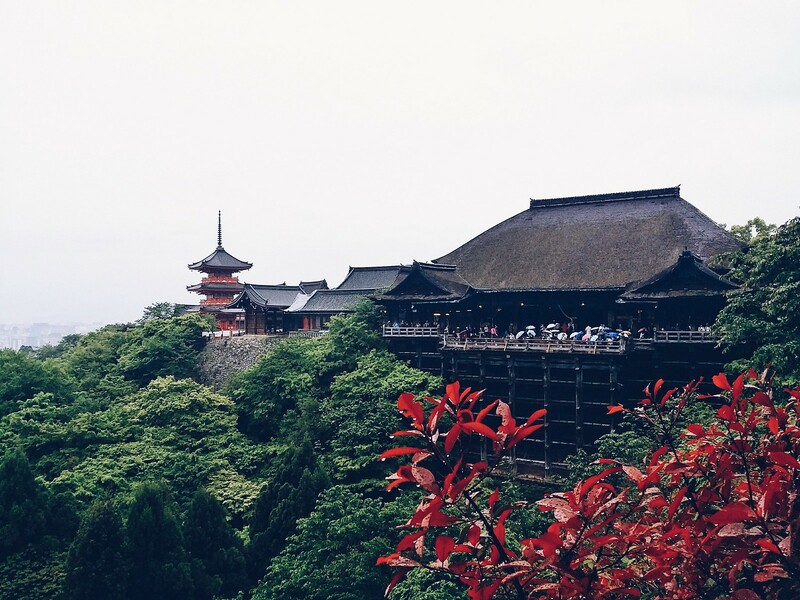 Kiyomizudera is meters above and has a wooden “terrace” where you can see the green trees around the temple. There’s nothing much to do inside but appreciate the nature. Imagine these trees in cherry blossom and autumn season. 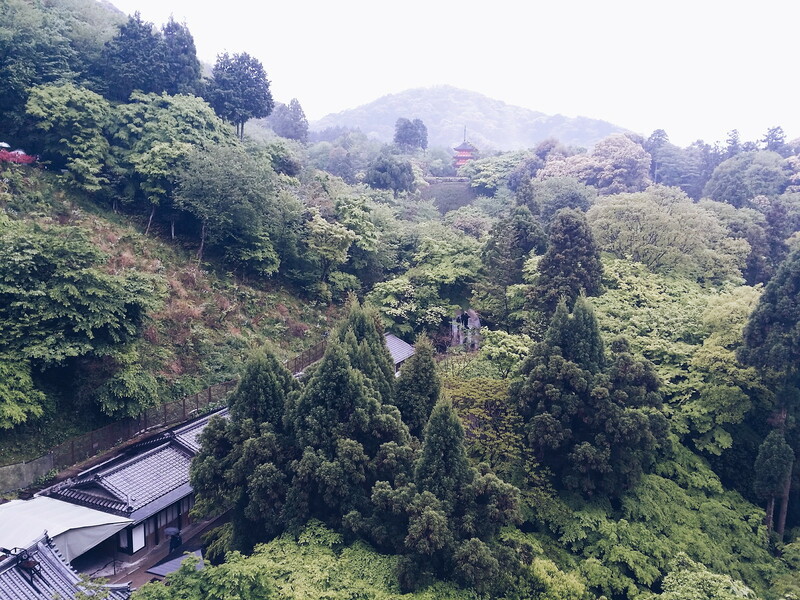 What you can see inside Kiyomizudera temple. Just outside Kiyomizudera is a street long of stores and restaurants. It is the ever famous Higashiyama District. You can see everything here from pork buns to eat to cute Japanese souvenirs. The stores are a mix of cheap and expensive and haggling is not exercised here. My only advice is to buy the pork bun you’ll see here. They’re the best! 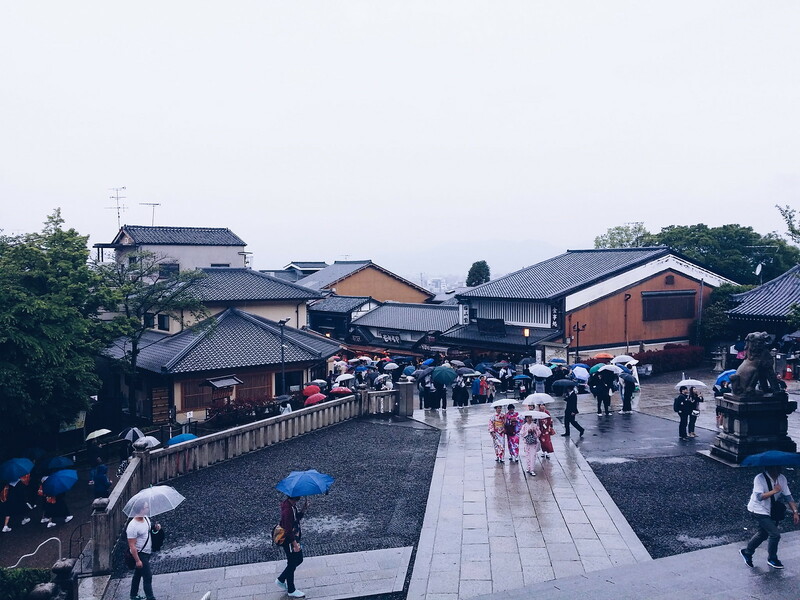 The rain didn’t stop until 6 PM so instead of doing our walking tour, we decided to just take the bus to Gion street (our last stop). We went back to Goyo-zaka bus stop Northbound and rode bus number 202/206/207. Then, we went down at Gion bus stop. Gion street is Kyoto’s famous geisha district. It has numerous stores, machiya restaurant houses, and ochiya (teahouses where you will be served by geishas and maikos). Luckily, I saw a geisha on her way to her ochiya but I didn’t choose to take a photo of her. It is advised for tourist to act respectfully around geishas. Don’t be a paparazzi! That geisha poster is all over Gion street. Shot this in Kyoto Station. Not really a stop since the tower is near Kyoto Station. We didn’t dare to go up since its cloudy but you can go up on its observation deck for 770 yen. (around 335 pesos) Or you can just admire it from afar like we did. One day isn’t enough for this beautiful city. You can cover all Kyoto’s famous temples and attractions in 2 days but this city is worth getting lost at. 3 full days is recommended. Again, buy a 1-Day or 2-Days Bus Pass. With this ride, you can only ride the green one buses. I used this website in determining which bus stop is near the desired temple I’ll visit. Rent a kimono!! 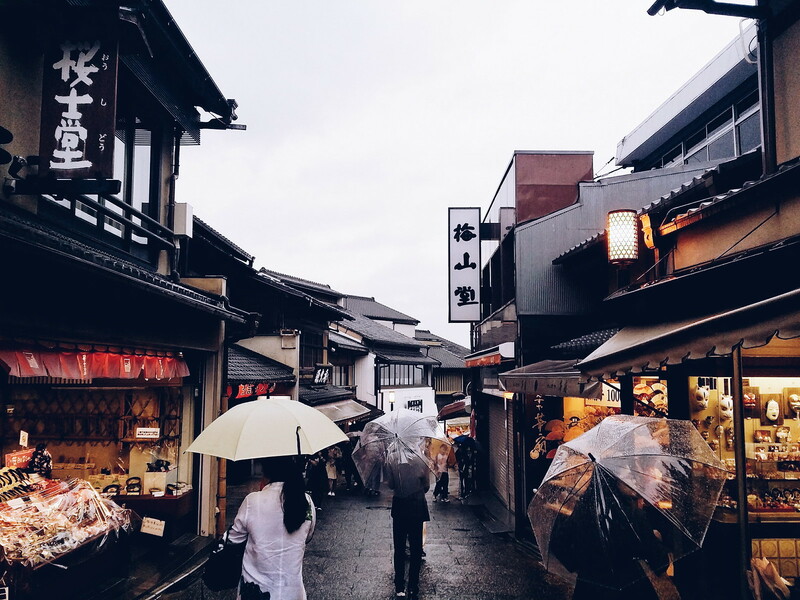 Kyoto is the best place to wear it because of its preserved culture and gorgeous nature. There are many stores around the city that you can rent a kimono starting at 3,000 yen (around 1,300 pesos) for a day. Go try kyotokimono-rental. If you have a budget, treat yourself by booking a ryokan. A ryokan is a traditional Japanese inn where travelers can wear yukata, sleep in a traditional Japanese bed, communal hot spring and eat the best Japanese food. It is quite pricey but a once in a lifetime experience. For the backpackers, Kyoto Station has coin lockers where you can store your bags. Best time to go to Kyoto? Cherry blossom and autumn season. 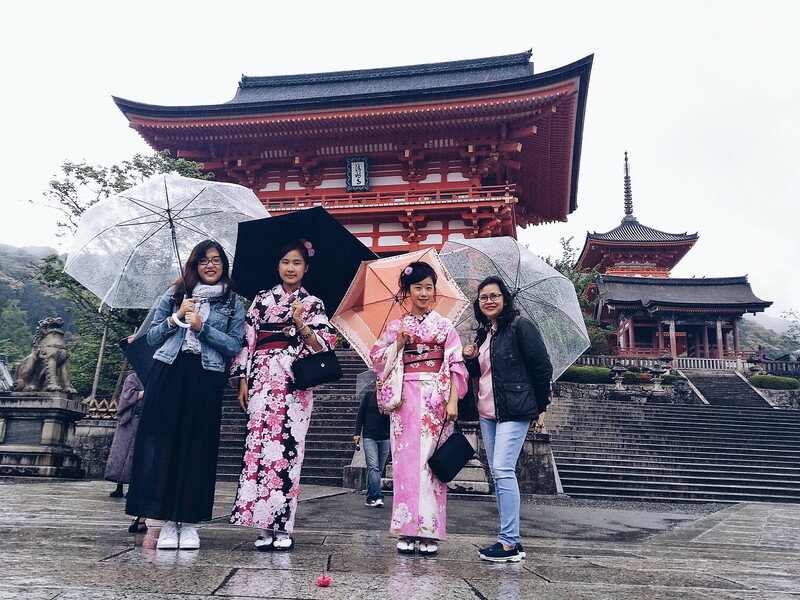 Imagine Kyoto and its abundant nature in splashing colors of pink or orange. Expect to walk a lot here because even Kyoto’s side streets are beautiful. I saw some foreigners on their rental bicycles so that’s an option too. Do a side trip to Todaiji Temple in Nara since it’s just a few minutes away from Kyoto Station. Nightlife here is not as good as in Tokyo so skip the bars and enjoy the quiet ambiance it also offers. 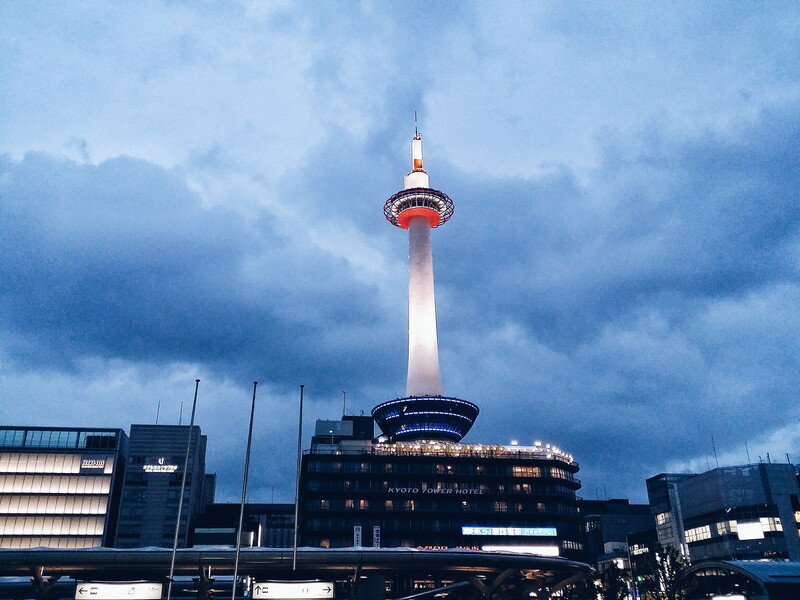 If you’re heading to Kyoto sometime soon, you can ask me questions down the comment section. ? My most-awaited blog post! Hahaha. Finally. I think some of the places that you wrote here are not yet included in our list. 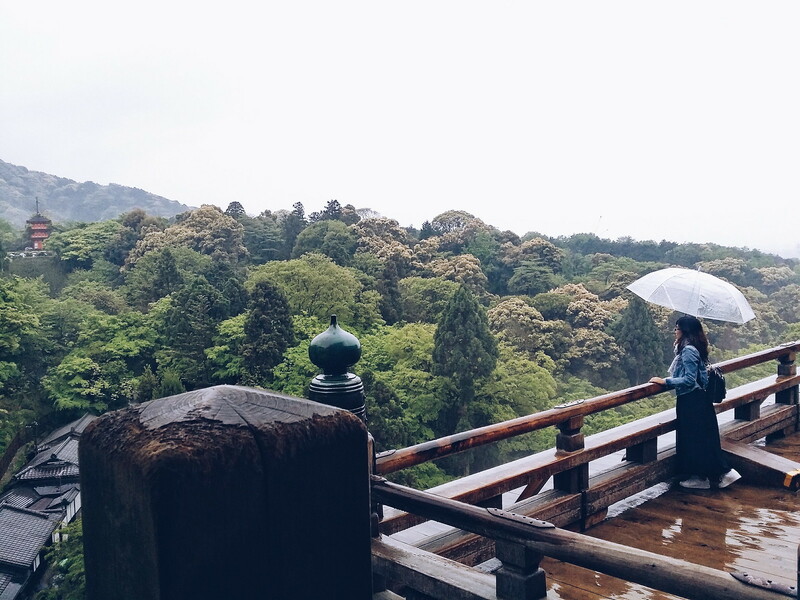 Too bad you were not able to visit Kinkakuji and Ginkakuji because of the rain. 🙁 btw, I love your umbrella! aw thanks karen!! How many days ba inallocate mo sa Kyoto? So bitin for 1 day girl! Yes, I didn’t got the chance to do rin the walking tour from Kiyomizu to gion too. Ang ganda daw ng mga places na madadaanan. The umbrella is from our airbnb host. Excited for your Japan trip!! 1 day lang sana! Kasi most people say 1 day is enough. Huhu. Might as well stay there for 2 days na lang? Tapos kahit wag na siguro muna kami pumunta sa Nara. I’m so excited too!!! I agree, 1 day is not enough to explore Kyoto! I still want to go back and explore it more. I missed out on a couple more places. And I definitely want to experience staying in a Ryokan. And that bus pass purchase is the best idea! Used it to get around everywhere! It is not!!! I’m excited to go back too. Maybe around 2018 again or Tokyo 2020!! Ryokans are the bomb. I really need to save a lot to afford a lot of new experience there. haha! I’ll look at your blog. I wanna see! How to do yung combine photos? The regular squares lang kaya ko in photoscape. lol! Anyway, if only we’re not in a tour group the last time I went to Japan, I probably visit Kyoto aswell, ang mura lang makapunta. Chos! Your photos are really nice aswell. You should! When are you going??? Hi! Planning for Osaka, Kyoto and Nara/Kobe for 7 days including From/To Manila. I want to spend 2 full days in Kyoto. Do I need to book a hotel there? Or just stay in Osaka? That station is like the one here in Dubai, so modern and talagang pinaghirapan! Love the facts like the pagoda thing and that Kyoto tower! when did you visit? how many days? Is it raining in most days? It is!! But for me ah, Dubai is more modern! Pero the train smells ugh HAHAHAH! Only spent 1 day for Kyoto. Super bitin! Visited around April and yep the weather is bipolar. Sometimes, sobrang init and may days na maulan. This is one helpful post! I’ll keep those tips in mind if I go to Japan.